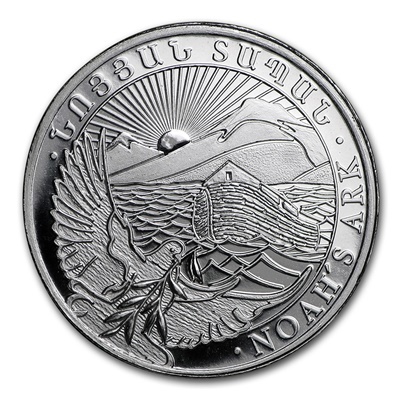 The Noah's Ark coin is the first investment grade bullion coin issued by the Central Bank of Armenia. These coins are legal tender in the Republic of Armenia at nominal value. 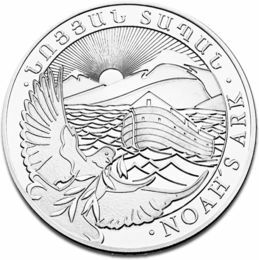 The design on the coin depicts a dove in flight with an olive branch and Noah’s Ark floating on floodwaters in front of Mount Ararat and the rising sun. The story of Noah´s Ark and the Great Flood is well recognised around the world. Noah´s Ark is the most meaningful symbol in Armenian history. 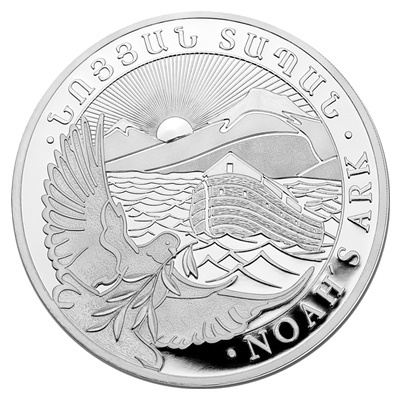 The Noah´s Ark silver investment coin will widely promote recognition of Armenia's ancient history and cultural values.